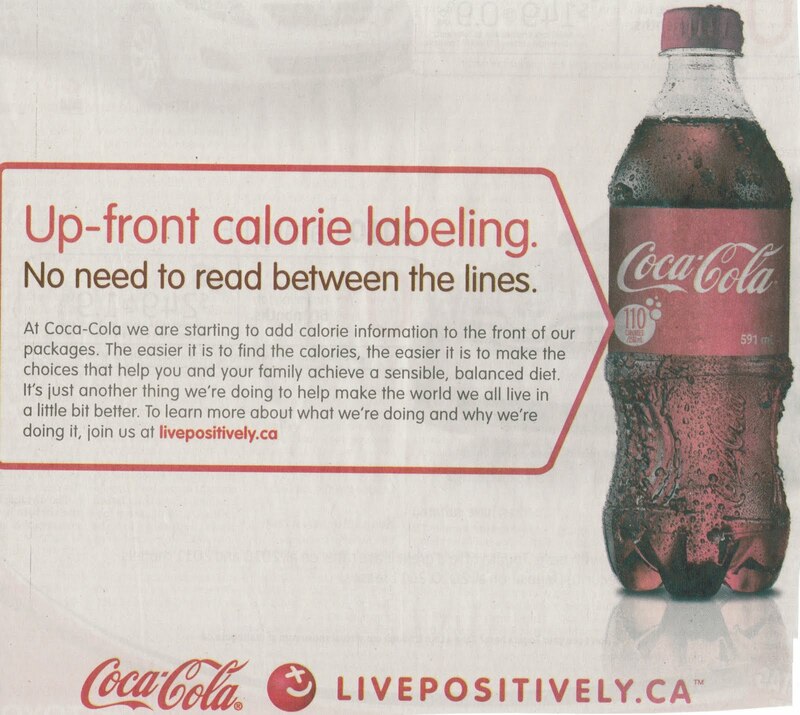 Here's a case study on deceitful marketing that I cut out of my local newspaper. "Up-front Calorie Labeling. 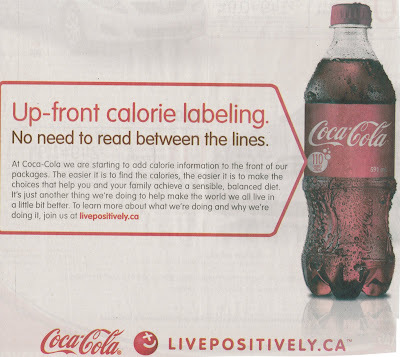 No need to read between the lines"
Coca Cola folks, when you read this - 260 calories in big type on a 591mL bottle would be up-front labeling. 110 calories in big type on a 591mL bottle with small print below stating /250mL? That's just slimy marketing.